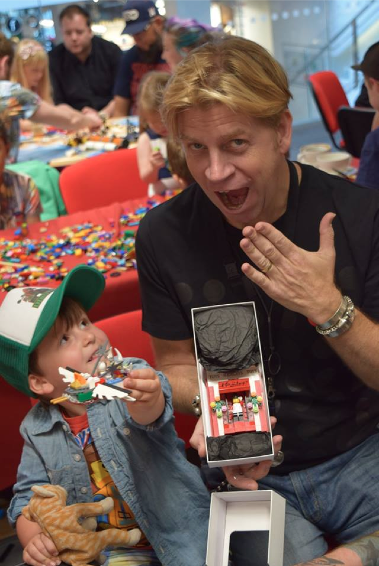 Gifts from the Pirates: "Creative collaboration is awesome." 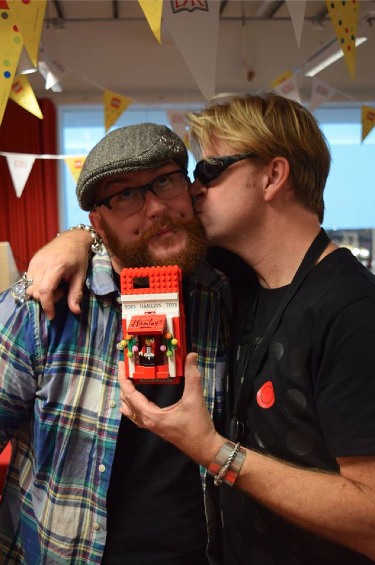 Last year while we were at the LEGO Golden Brickies event we met a really interesting chap called Mark, an interesting an eccentric gent that the boys refer to as the 'Hamleys LEGO guy' We hit it off since then and have chatted on and off. 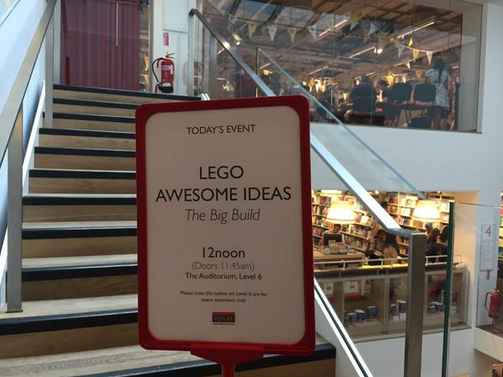 While Mrs M was working in London a few weeks back she popped in to Hamleys looking for something fun for the boys and bumped into Mark who invited us to an event for the release of DK's LEGO Awesome ideas book at Foyles bookshop. In preperation for the event, knowing that Mark has the same phone as me I decided to make him a custom phone case. If you've been following us for a while then you will know that I like to accessorize and create relevent LEGO cases for each event so it was nice this time to be making one for someone else. 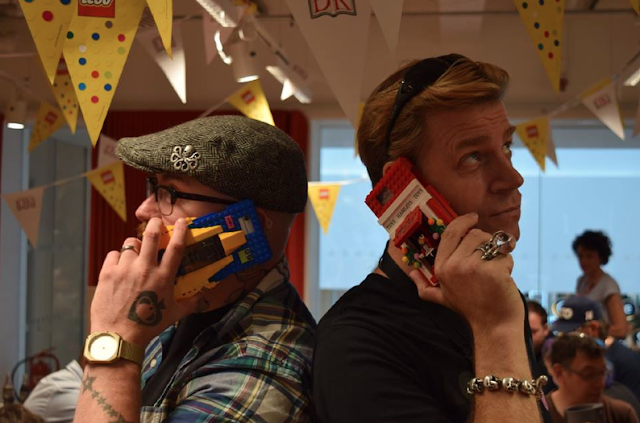 It had to be a Hamleys themed one and Mark's awesome ringmaster outfit was definitely going to be star of the show. Needless to say the case was loved and it was great to put a smile on his face. It was a great way to spend a grotty, rainy Sunday morning and the event gave us a few ideas for some future builds, so stay tuned.